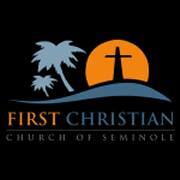 First Christian Church of Seminole believes that to succeed in your walk with Christ requires fellowship with other believers. 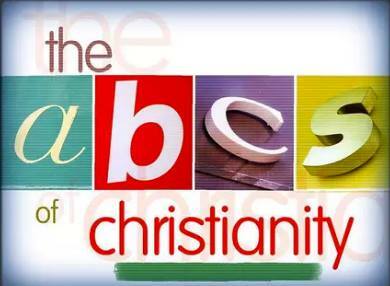 Below is a directory of the small groups offered by the members of the FCCS church. Please contact one of the group leaders or stop in if you’d like to learn more. Small group that meets once a month that is lead by two of our long time members Alvis and Chi Chi McGinty. 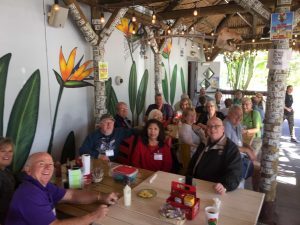 This group meets December - April and is open to anyone that comes to Florida on a seasonal basis from up North to escape the snow. RISE: Sunday mornings at 10 a.m. for middle and high school students. Free breakfast included! Wednesday Night Youth Group: Pizza & fellowship start at 6:30pm. Lesson and activities are from 7-8pm. We have a church van ministry able to assist students living within a certain radius if necessary. Contact Nick Westfall if you need a ride! Friday Night Hangout: Every 1st and 3rd Fridays of each month from 6-8pm. Snacks, fellowship and games provided! Church van ministry available. Contact Nick if you need a ride! Ask Nick for a Youth Group Calendar. Questions? Contact Nick Westfall here.